Gene mutation identified for early onset of Parkinson’s disease in Caucasians. It is known that rigidity and loss of muscle function associated with Parkinson’s is linked to a depletion of dopamine in the part of the brain that controls movement. However, it is crucial to have a more comprehensive understanding of what genes related to Parkinson’s are doing at different points in someone’s lifetime. It is hoped that this will lead to genetic testing that can determine the risk of illness based on someone’s age, gender, weight and other intervening factors. 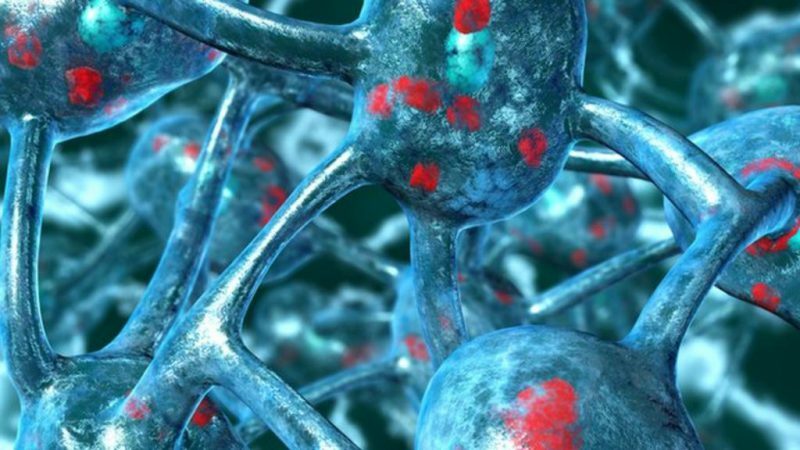 Now, a study from researchers at the Iowa State University shows that a defect in a gene which produces dopamine in the brain appears to accelerate the onset of Parkinson’s disease. The team state their findings suggest that the effect is particularly dramatic for young-to-middle-age adults. The study is published in the journal Neurobiology of Aging. Previous studies show that novel single nucleotide polymorphisms within Parkinson’s disease can predict disease risk, but their influence on clinical, cognitive, and neurobiological indices remains unexplored. This current study investigates mutations in the gene guanosine triphosphate cyclohydrolase-1 (GCH1), an essential enzyme for dopamine production in nigrostriatal cells. The current study analysed 289 people recently diagnosed with Parkinson’s, but not on medication, and 233 healthy people. The data was collected through the Parkinson’s Progression Markers Initiative. Results show that on average Caucasians with one bad version of a gene known as guanosine triphosphate cyclohydrolase-1, or GCH1, developed Parkinson’s symptoms five years earlier, and had a 23% increased risk for the disease. Data findings show that young-to-middle-age adults with the mutation had a 45% increased risk of developing Parkinson’s disease. The lab note that the presence of the defective gene in older adults had minimal effect. The team state that their findings have the potential to help personalize medical care for people with a family history of Parkinson’s disease, similar to testing for the BRCA gene for women at risk for breast cancer. They go on to add that, to their knowledge, their study is the first to look at these different biological markers, as well has how the gene’s impact on dopamine production specifically affects Caucasian populations. The team surmise their findings suggest that GCH1 variants affect early Parkinson’s disease risk through altered dopamine uptake, and aging alters how genetic factors contribute to disease development. For the future, the researchers state that studies should investigate how aging modifies genotypes’ contributions on Parkinson’s disease risk.